ServiceMaster DAK fire damage restoration specialists are ready to handle emergencies in the North Shore and Northwest Chicagoland suburbs 24/7, helping to restore your life to normal as soon as possible. With our years of experience, we know that quick fire cleanup can minimize your losses after the fire gets extinguished. Protein Fire – This type of fire typically involves stove-top grease fires, burned and charred meat, along with most fires where living tissue or hair is involved would be classified as protein fires. Wood and Paper Fire – This type of fires involves a paper product or wood being consumed such as fireplace puff-backs, most trash can fires and general home fires when mostly the wood structure is involved. Even when the fire is out, the damage continues. Much of the material found in furniture and flooring is synthetic and when burned, it can start a variety of complex chemical reactions. After only a few days, structure and household items can go from cleanable to unsalvageable. The fire damage restoration professionals at ServiceMaster DAK are experts in understanding the chemical combinations that effectively clean and salvage your home and personal property. We’ll remove damaging soot from at-risk items such as brass, aluminum, chrome, marble, tile, and porcelain as well as upholstery and carpet. It is your responsibility to begin loss mitigation, including steps to prevent the damage from getting worse. Take inventory and photos of damaged goods before discarding anything and save receipts for money spent relating to the fire loss. Stay away from exposed wiring. The fire department may remove the electric meter after the fire has been extinguished. People with severe allergies or respiratory problems should stay out of the area until initial clean-up is complete. Ventilate the home to remove lingering smoky vapors. ServiceMaster DAK has certified professional technicians on call to provide advice on the fire restoration of your home or business and belongings. Rapid response can shorten the amount of time it takes to get your life back to normal. Please understand that in many cases, attempting the clean-up process yourself can only make matters worse. ServiceMaster’s certified technicians have the experience, training and knowledge to assess the fire damage and restore your home and personal property. Using the wrong cleaning solution on some materials can permanently damage your homes structure or belongings. Protection – Your home is not the same place it was prior to the fire. Portions of the roof may be falling into living areas, pieces of drywall may be hanging from the ceiling, and windows may have been destroyed by the fire. ServiceMaster technicians will take steps to protect the health and safety of all occupants and while protecting structure and contents from further damage. We will immediately assess your home for any areas or items that we deem unsafe. Our trained teams will take precautions to alleviate these unsafe conditions so that the fire damage clean-up process may begin. Securing the structure through board-ups or tarps – We’ll immediately provide any board up for doors, or windows as needed to secure and protect your property. If the roof was damaged we’ll tarp it off to prevent any outside contaminants or rain from entering your home. This is only done as a temporary security measure until actual repairs can take place. Source Removal – Once your insurance company or fire department (sometimes both) completes their report and releases the property we will remove the debris at the source of the fire. This is often the source of the bulk of the odor. Water Damage – Our emergency services also include mitigating any water damage that may have occurred. If the fire department was brought in to extinguish your fire, they may have used water to put out the fire. We’ll immediately begin the drying process to avoid any fungal contamination of the remaining structure. Packing-out the contents when necessary – By packing and removing your belongings, we’re able to more efficiently clean both your personal property, and your homes structure. Our trained experts will assist in helping you remove any items you’re going to need while your home is being restored. All removed items are inventoried and packed before being moved to our state of the art cleaning facility. Once the items are brought to our facility they are unpacked, cleaned, deodorized, repacked and securely stored until they’re moved back to your home. Cleaning – The method of cleaning depends on the type of smoke that permeated your home. Most often all loose soil/soot is removed from structure surfaces first and then we wash and deodorize. Every inch of the affected area needs to be cleaned in order to thoroughly remove the odor. ServiceMaster DAK technicians are trained to use specialized cleaning techniques that can often prevent the need and added expense of repainting. If the extent of the damage is such that repainting is necessary, ServiceMaster DAK will let the insurance company know. Odor removal – The type of equipment we use is directly related to the type of odor we are combating. Your ServiceMaster DAK professional will explain the different types of deodorizing equipment we use and suggest the best option for your particular smoke loss. Structural repairs – If you wish, ServiceMaster DAK offers complete structure repair services. 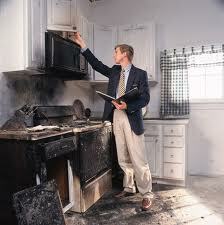 We’ll return your fire damaged home to pre-loss condition always working directly with you and your insurance company. 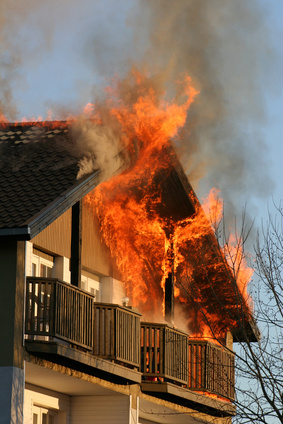 Standard construction companies often don’t handle fire or water damaged property. There is a difference. ServiceMaster DAK’s construction specialist will look into the possibility of damage to the insides of walls, insulation ducts and venting. ServiceMaster DAK has worked with all insurance companies restoring homes successfully since 1975. Unlike other companies that provide limited fire restoration services, ServiceMaster DAK’s team is fully qualified to handle both the mitigation and the structural repairs necessary for total recovery.